The fitness floor is segmented into cardiovascular equipment, free weights, selectorized weights and a stretch area. The professionally trained staff offer a variety of services designed to assist residents to achieve health, wellness and fitness goals. 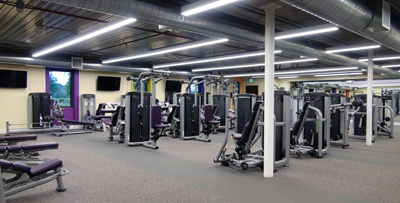 Residents may make an appointment for a complimentary introduction to the state of the art LifeFitness equipment. For an additional fee, Kings Point Suncoast offers personal training. Cardiovascular Machines help you raise your heart rate and create stronger muscles and respiratory systems. All cardiovascular machines are equipped with speed and intensity controls that you set. In addition to controlling the intensity of your cardio workout, you can catch up on the news, watch a funny show or watch your progress on the monitor.